Set your sights on new adventures and boost your fitness along the way. From paved roads to gravel or dirt, this friendly all-terrain drop-bar bike will encourage you to follow new routes. AnyRoad opens up a world of opportunities. The lightweight and durable ALUXX aluminum frame has a taller headtube and increased stand-over clearance, which puts the rider in a comfortable, confident position. The result is smoother handling even on rugged terrain. 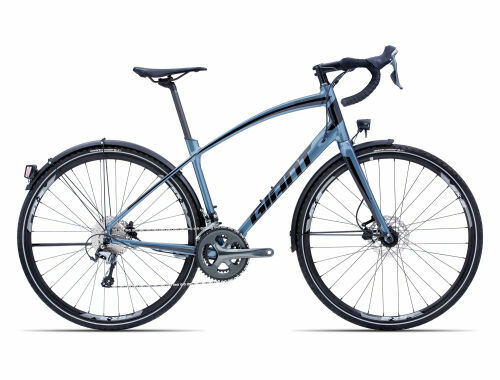 Its wide range of gears, ergonomically shaped handlebars, and smooth, powerful disc brakes give you the capability to just choose a route and go. Advanced composite frame maximizes pedaling power for a smooth, fast ride quality on variable riding surfaces. Lower stand-over and a taller headtube put the rider in a comfortable, confident position. 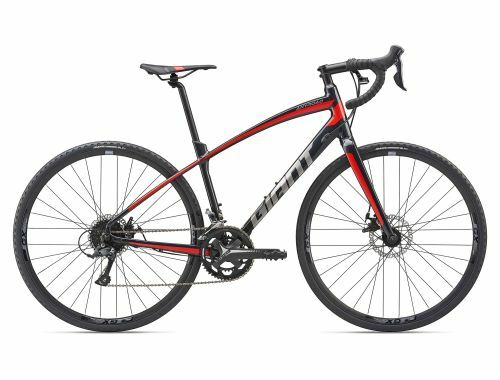 Frame features a taller headtube and increased stand-over height to ensure confident handling, even for the novice rider. The frame is equipped with disc brake tabs, and it features disc brake-specific frame construction.